Anne Hathaway Is The Cat's Meeeow! Anne Hathaway Is The Cat’s Meeeow! 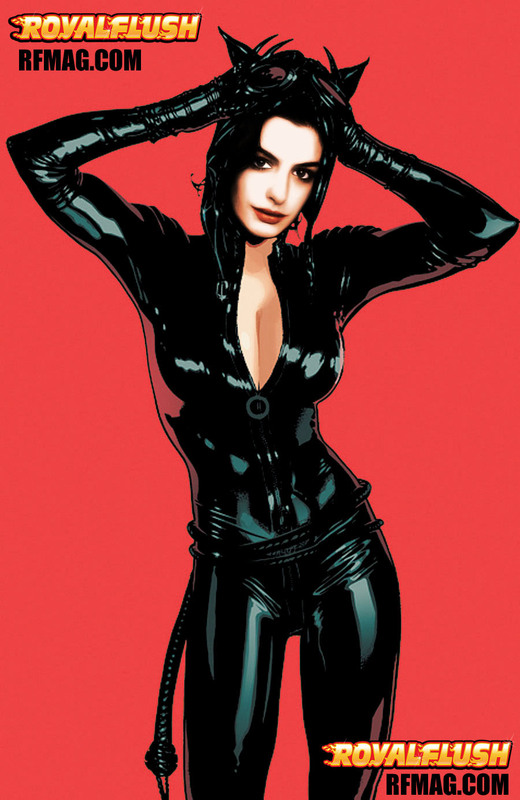 That’s right, nerds, fanboys, dorks and dweebs… Hell, men with pulses and damn near every woman is just itching to see the alluring Anne Hathaway all crammed up into the iconic, and ever revealing catsuit. Hathaway will star alongside Christian Bale, who returns in the title role of Bruce Wayne/Batman in 2012’s Dark Knight Rises (eh heh). Ok, enough with the talkie-talk. Royal Flush did some snooping and got our hands on some early concept art for Anne’s Catwoman suit. Let’s just hope that the Mayans are wrong cuz this hot potato is due out in June of 2012.